Huge wind turbines just off the M6. 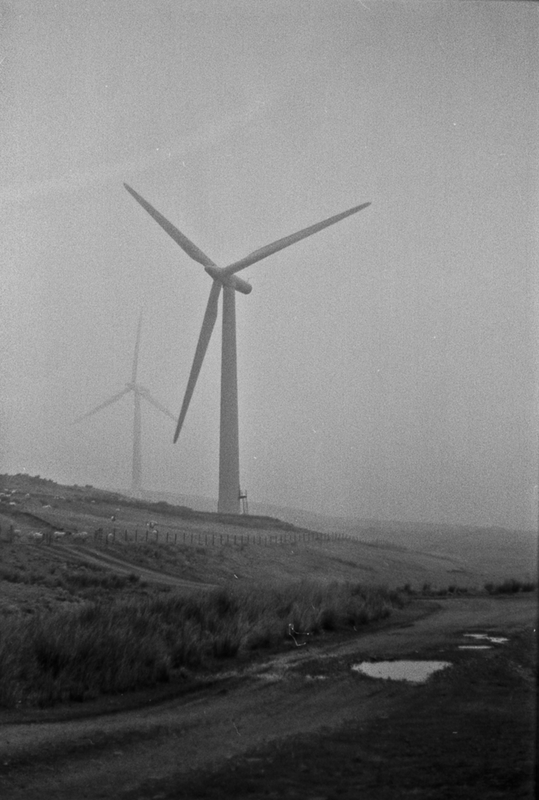 They looked seriously ominous in the mist, with the far turbine coming in and out of view depending on how the wind was blowing. I’m not sure if the photo does the scene justice or fully captures the feel of these man made monsters looming over the fairly bleak countryside, I hope so, perhaps would have been better in colour.